Considered one of the finest handmade acetate frames on the market today, Hackett Bespoke UTX frames are 30% lighter than normal with half the thickness of a regular frame. Ultra-thin. Ultra-light. With its efficient use of material, trim detail and classic silhouettes, Hackett Bespoke UTX defines elegance while providing a lightweight comfortable fit. Hackett Bespoke UTX has introduced 4 new metal styles consisting of high quality and high technology elements complimenting the existing Hackett Bespoke Eyewear collection. You’ll find metal frames designed from surgical grade stainless steel, real riveted hinges with custom metal front plate and carefully crafted finishes. 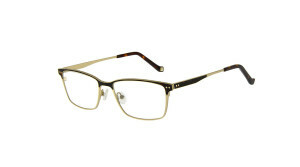 UTX uses ultra-fine textured acetate film insets along with genuine leather inlays providing a sophisticated touch. Classic silhouettes featuring keyhole bridge design and hockey stick tip with iconic square “Bowler Hat and Crossed Umbrellas” monogram personify the timeless design detail found in Hackett Bespoke. Subtle logo application and trim detailing can be found hidden inside hinges and endpieces as depicted with the Union Jack flag, maintaining the essence of British tradition. Sleek design, lightweight feel and Hackett Bespoke design pedigree set this collection apart.